You know what they say about opinions. Imagine riding herd with 280 businesses who publish their opinions every week. These publishers — and their editors, reporters and photographers — form the Missouri Press Association. For nearly 150 years, the diverse members of this group have chronicled war and peace, birth and death, floods and tornadoes, political upheaval, city council meetings and basketball rivalries. Despite their wildly divergent beliefs, member newspapers respect each other as family. And like family, they may not always see eye-to-eye, but they’re unanimous in support of two things: First, the Missouri Press Association defends freedom of the press. Vigorously. Beyond that unifying issue, getting unanimous consent from this group is like putting frogs in a wheelbarrow. They’ll miss Doug Crews when he retires at the end of February. As executive director of the Missouri Press Association, Doug is the glue that holds this group together. Next month, he is retiring after more than a quarter-century with the association. On the face of it, you might think it’s insanity to try to please 280 newspaper-bosses. The group represents every point of view — Republican, Democrat, Libertarian, Independent. And when they get together for an event like hosting a political debate, sparks fly. But remember, this group rallies as family behind a unifying purpose: freedom of the press. In 2008, Doug helped organize the Missouri Sunshine Coalition, a group of organizations and individuals supporting open government and freedom of information issues in Missouri. Crews has a long history in Missouri journalism. He grew up in Odessa. Even before he graduated from high school, he was reporting for his hometown newspaper. After graduating in 1973 from the University of Missouri School of Journalism, he worked for several Missouri weekly newspapers. He was news editor of the Union Franklin County Tribune. At age 22, he became editor and publisher of The Lawson Review; at the time he was the youngest newspaper publisher in Missouri. He also served as editor of The Edina Sentinel and news editor for The Fairfax Forum. From their offices in downtown Columbia, Doug and the Missouri Press Association staff work nonstop — often quietly and behind the scenes — to protect freedom of information. Doug has spent thousands of hours in the halls of the state Capitol, offering testimony, listening to debate, and lobbying legislators to keep doors open. And you thought all lobbyists were in it for the money. Preserving the First Amendment is a constant battle. But like a good family, the Missouri Press Association has a fun side, too. Exhibit A: This proud family would love for you to plan a field trip to visit its Newspaper Print Shop Museum just up the road. Since 1966, the MPA’s Newspaper Print Shop Museum has told its story in Arrow Rock’s historic Odd Fellows Lodge Building. It’s a wonderful daytrip for a family, club or school group. You’ll see a variety of historic old printing equipment, including a Linotype, a newspaper flatbed press, job presses, Washington hand presses, hand-set type and other tools of the printing trade from a century ago. And if you time it right, you can stay for a performance at the Arrow Rock Lyceum Theatre. Here’s a bonus: This magazine’s founding editor, Sandy Selby, has just become the executive director of Friends of Arrow Rock, so she can help arrange your Arrow Rock visit! Two years ago Doug was elected to the board of directors of the Arrow Rock Lyceum Theatre, one of many boards on which Doug has served — locally, statewide and nationally. He’s a past president of both the University of Missouri Alumni Association and the State Historical Society of Missouri. He and his wife, Tricia have two children, Michael and Jessica, both Mizzou grads, as is their daughter-in-law, Kristen. Tricia retired from teaching fifth grade at Columbia’s Mill Creek Elementary School in 2010, after a 31-year public school teaching career. So now Tricia and Doug are free to dote on their three grandchildren. 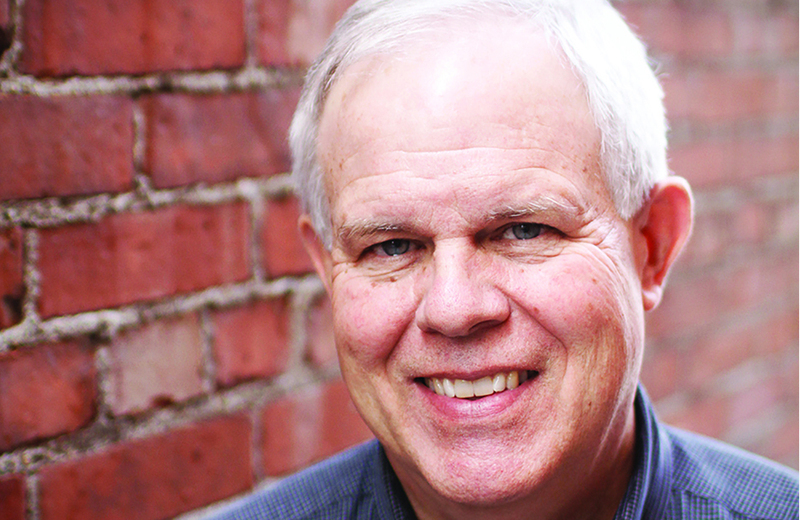 The Missouri Press Association will miss Doug. But like so many key players in Columbia’s fabric, Doug won’t retire completely. And that’s good news for us. In-between visits with the grandkids and rooting for the Tigers, Doug will continue to lobby in Jeff City a bit longer for freedom of information.